Specialty Systems - Sto Corp.
Our system portfolio includes a series of special wall assemblies engineered to meet very particular design requirements of the building enclosure and to accommodate different types of building substrates such as Aerated Autoclave Concrete or Insulated Concrete Forms. 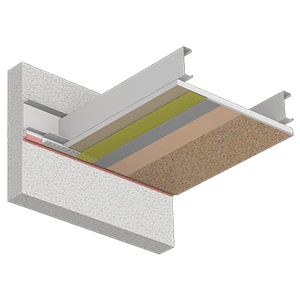 Direct-applied Exterior Finish System (DEFS) for use on weather protected walls and un-insulated exterior soffit and ceiling applications. 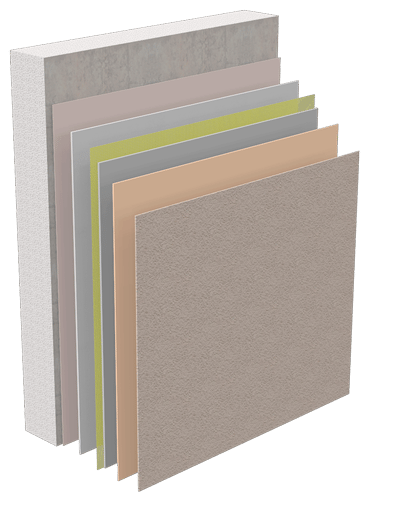 Direct-applied exterior finish system over glass mat faced gypsum sheathing for use on ceilings, soffits and weather-protected walls. 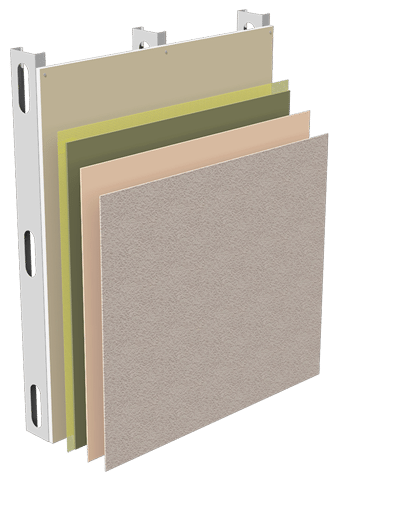 SUBSTRATE TYPE: ASTM C1177 compliant glass mat faced gypsum sheathing board is directly applied onto the frame. TYPE OF APPLICATION: On ceilings, soffits and weather-protected ceilings. Our Pool Room Finish System provides a decorative and water-resistant finish for indoor pool rooms and similar enclosed spaces subject to high humidity, chlorine and other chemicals. Decorative and protective finish system for interior walls and ceilings of residential or commercial indoor swimming pool rooms. SUBSTRATE TYPE: Georgia-Pacific Dens Shield® glass mat faced gypsum board and PermaBase® cement board by National Gypsum or exp Tile Backer by National Gypsum. TYPE OF APPLICATION: On interior vertical above grade walls and ceilings of an indoor pool room. DRAINAGE: Non applicable. Interior application. 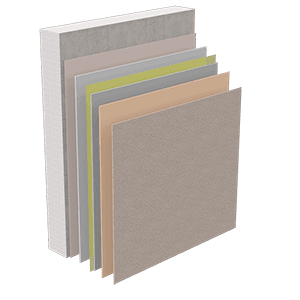 AIR/MOISTURE PROTECTION: The moisture protection is provided by Sto premium waterproof base coat and Sto textured finishes and coatings along with the increased durability of the backer boards. 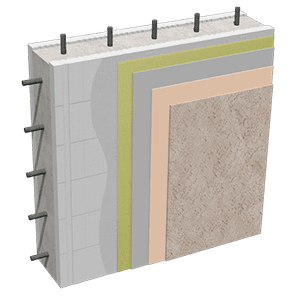 Insulating Concrete Form (ICF) is a system of formwork for concrete that stays in place as permanent building insulation for energy-efficient, cast-in-place, reinforced concrete walls. The forms are interlocking modular units, somewhat like Lego bricks, that are dry-stacked and filled with concrete, serving to create a form for the structural walls of a building. ICF construction is becoming increasingly commonplace for both low rise commercial and residential construction as more stringent energy efficiency and natural disaster resistant building codes are adopted. Decorative and protective finish system for Insulated Concrete Form (ICF) construction. SUBSTRATE TYPE: Insulated Concrete Form (ICF) construction. TYPE OF APPLICATION: Direct-applied on exterior above grade ICF wall construction. CONTINUOUS INSULATION: High due to ICF continuous insulation. 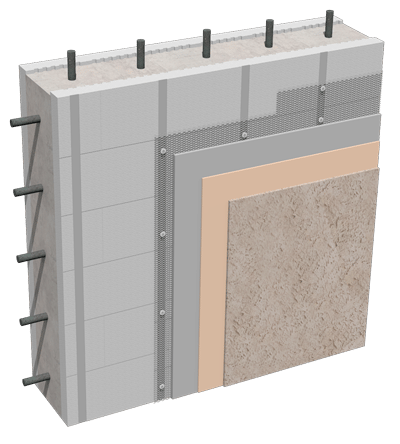 AIR/MOISTURE PROTECTION: ICF Barrier wall construction with concrete as the air barrier. IMPACT RESISTANCE: Standard-impact resistance is provided by the reinforcing mesh embedded in base coat. 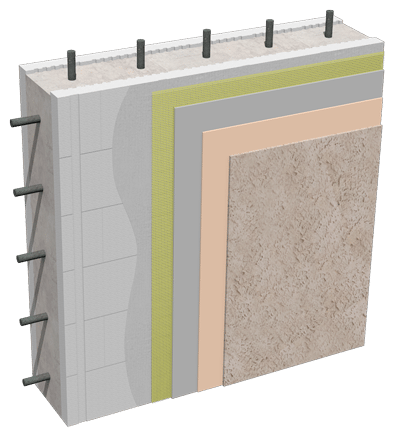 Decorative and protective stucco finish system for Insulated Concrete Form (ICF) construction. 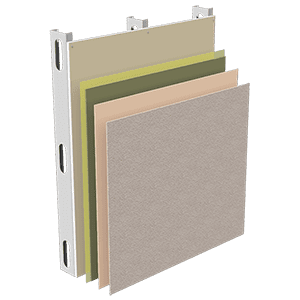 TYPE OF APPLICATION: Applied on exterior above grade ICF wall construction with metal lath and paper backing anchored into concrete or ICF web ties*. DRAINAGE: Limited drainage when properly integrated with flashing. 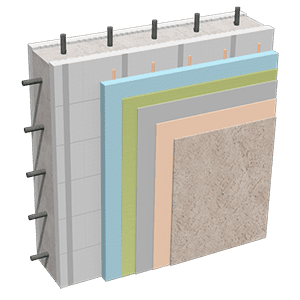 AIR/MOISTURE PROTECTION: ICF back-up wall construction and code compliant WRB with Sto Powerwall® Stucco Finish System. IMPACT RESISTANCE: High-impact resistance is provided by the metal lath reinforced stucco. *Provided web ties are adequate to support stucco. Decorative, protective and insulated finish system for Insulated Concrete Form (ICF) construction. TYPE OF APPLICATION: Applied on exterior above grade ICF wall construction. DRAINAGE: Drainage wall construction when properly integrated with flashing. 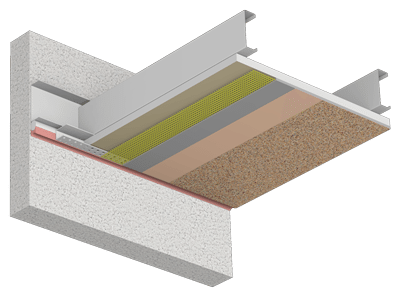 CONTINUOUS INSULATION: Premium with the addition of exterior continuous insulation to the ICF. 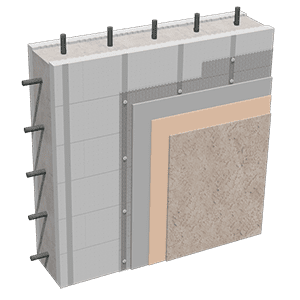 AIR/MOISTURE PROTECTION: ICF back-up wall construction with StoTherm® continuous insulation system. IMPACT RESISTANCE: Medium impact resistance is provided by the reinforcing mesh embedded in base coat. Our ACC Finish System provides a decorative and protective finish over this quick and easy-to-install, lightweight concrete material. SUBSTRATE TYPE: Exterior AAC masonry units (block or panels) compliant with ASTM C-1452. TYPE OF APPLICATION: On exterior above grade AAC wall assemblies. 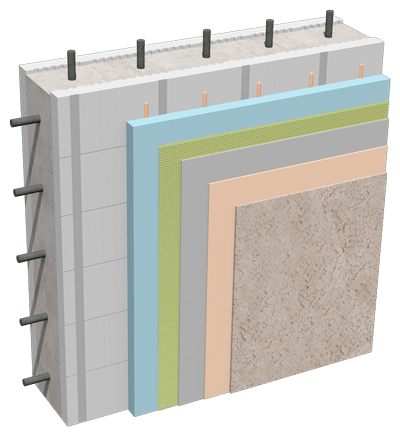 AIR/MOISTURE PROTECTION: Barrier wall construction. The use of an optional surface conditioner, can reduce surface absorption. IMPACT RESISTANCE: Standard impact resistance is provided by the reinforcing mesh embedded in base coat.